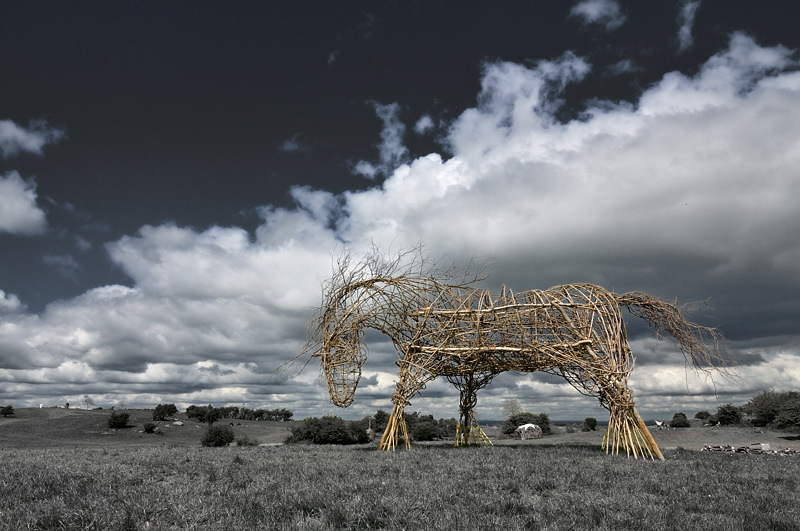 Huge awards await artists who wish to display their work on the historic Hill of Uisneach in County Westmeath as part of ‘Festival of the Fires’, the major Bealtaine arts, culture and heritage event which takes place annually on the Hill and at locations nationwide. "Uisneach Horse by Patsy Preston 2010"
A prize fund of exhibition and workshops space, an artists retreat at a luxurious country mansion and studio time at one of several noted studios awaits artists who wish to create or exhibit outdoor art pieces throughout the hillside festival site. Festival of the Fires is being celebrated on Saturday April 30th this year, and the organisers are hoping the Hill of Uisneach will come alive with Irish and international art, whose theme will be in keeping with the festival’s ethos of reigniting Ireland’s passion for arts, culture and our heritage. Uisneach is a unique heritage site with an incredible history. The organisers are hoping that some of the national and local art colleges, individual artists and collaborative groups and many more will come on board to make this event an opportunity to connect the visual arts to a wide audience in a totally unique location. The Hill of Uisneach is steeped in mythology and a wonderful source of inspiration, our aims are to promote heritage and awareness of local history, encourage craftspeople and traders, while promoting the Arts in a fun and festive setting for all the family. We embrace sustainable ventures and re-cycling and aim to tread lightly on the land. Respect for the hill itself is of the utmost importance to us. 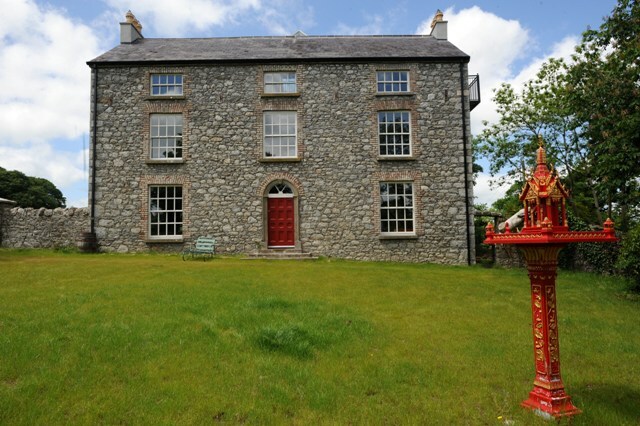 We propose three main avenues for participation by artists at this event and thanks to the hill owners David and Angela Clarke the Hill of Uisneach as an outdoor gallery space for several months after the Bealtaine Celebrations. We would ask artists to keep this in mind during the creative process as longevity of materials will enable works to be displayed for an extended period on an outdoor site. Selected works will also be displayed in Dublin City Centre and at locations in the Midlands including the main square in Moate and in central Mullingar and Athlone. 1. Sculptural pieces/ installations already created can be displayed at the festival and if appropriate, be left on display on the hill after the event. 2. Pieces can be created specifically for the event- Festival of the Fires will provide funding for materials (within reason), these artworks will remain the property of the Festival of the Fires and ideally will be made in such a way that they can be used again each year. 1st €100 plus a 4 day (3 night MON-THURSDAY) artist retreat in Bishopstown and one day recording in Grouse Lodge or affiliated Dublin recording studios. 2nd €100 plus a 4 day (3 night MON-THURSDAY) artist retreat in Bishopstown . 3rd €100 plus a 2 night artist retreat (mid week) in Bishopstown. We understand that it is very short notice and appreciate the fact that you may be busy with other commitments, I hope you would like avail of the opportunity to get involved with this project and please feel free to pass on these details to any other artists who may be interested. Our email address is info@festivalofthefires.com and if correspondence in relation to this is marked as ‘art’ in the subject line it is more likely to receive a prompt response. *the festival will not be held responsible for any damage that may happen to artworks during the festival or while being exhibited after the event. This entry was posted on Friday, March 25th, 2011 at 11:12 am	and is filed under Art and artists, Blog, Get involved!, Uncategorized. You can follow any responses to this entry through the RSS 2.0 feed. Both comments and pings are currently closed. the coming ‘Ring of Fire’ festival sounds really lively. Ireland needs innovative art festivals like this, keep up the positive push forward, hope to be there and to bring others to such a great event. I would like to submit a sculpture for the competition for the festival of the fires.